You’ve developed the perfect process. It’s designed to streamline sales activities, generate better results, and make your salespeople more productive. There’s only one hurdle standing in your way: sales process adoption. According to CMO Council, lost productivity and poorly managed leads cost at least $1 trillion every year. This lack of productivity is commonly due to a lack of adoption from salespeople. In this guide, you’ll learn how to fix an underperforming sales team, “bake” adoption into the process and make it as easy-to-follow as possible. By the end of this article, you’ll have a solid, well-adopted process that saves time on admin and improves the performance of your team. Why won’t my team follow the process? Before we take a look at how to ensure your sales teams follow processes, let’s look at why they may not be following them in the first place. Complicated sales processes are the most common cause of friction. Time-consuming processes can be not only confusing but also costly. Getting reps to adopt a process depends on its simplicity, and whether it’s going to help them to close more deals. Even with streamlined processes in place, clunky and complex tools are the next hurdle. Are you using outdated systems to execute sales activities? Inaccurate forecasting and CRM data may be causing issues. Finally, friction may be at an individual level. As a sales leader, it’s your job to uncover objections from your sales reps. Communication is key, and incentivization can be an effective motivator. So, you know what may be causing the problem. How do you go about solving it? As a sales leader, you must create an easy-to-follow process that your reps will enjoy executing. Simple processes can often lead to high-performing teams. The key is in communicating the value and providing the right support along the way. 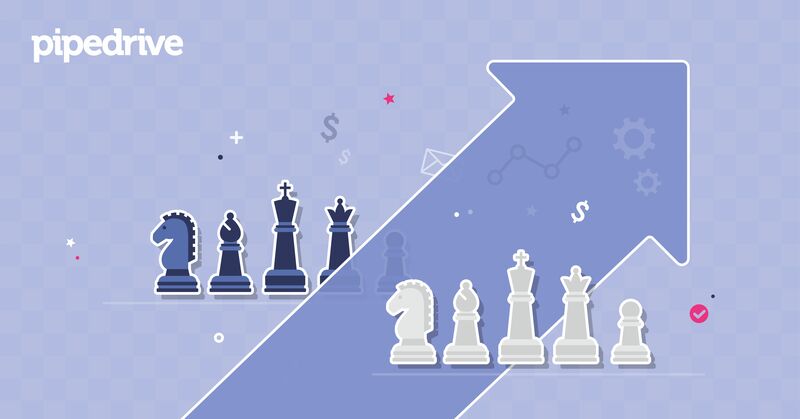 We’ve put together an 11-point checklist that will help you increase process adoption across your entire sales organization. Go through each one to identify potential gaps in your process. Use the actions provided for each step to fill them. Building an effective sales process requires a “top-down” visual understanding of your current one. If you haven’t mapped out each stage of the process, including the tools that empower those steps, then now is the time to do so. By documenting each stage of the process, you’ll understand where friction lies within your teams. This is the first, fundamental step to creating an effective sales process that reps will adopt. This step is key, as it will help you get buy-in and advocacy at a boardroom level. An understanding of the decision-making process leads to effective sales processes. Marry your prospect buyer journeys with the right activities to guide prospects down the funnel. Each stage must be aligned with buyer sales cycles, providing content that empowers salespeople to guide prospects to the sale. As you now know, communication is fundamental. Once you’ve mapped the sales process by stages and steps, you can find out where the friction lies from your salespeople. Start organizing workshops that bring reps together. Ensure them that it’s a collaborative discussion, with no right or wrong answers. Make it easy for them to share their thoughts on the current sales process. Focus on the steps which move the needle and cause the most friction. You can do this at an individual level by tracking sales behavior. Identify where reps are skipping stages or incorrectly entering critical information. Complex systems can be tempting. It’s easy to believe that several qualification steps and approval gates lead to higher quality opportunities. But this quickly adds up to confusing processes. And confusion results in overwhelmed salespeople and opportunities falling through cracks due to neglected activities. Make your sales process simple to follow. Allow your team to adapt to the behaviors of specific leads. Provide a simple, step-by-step process with checklists that provide flexibility. 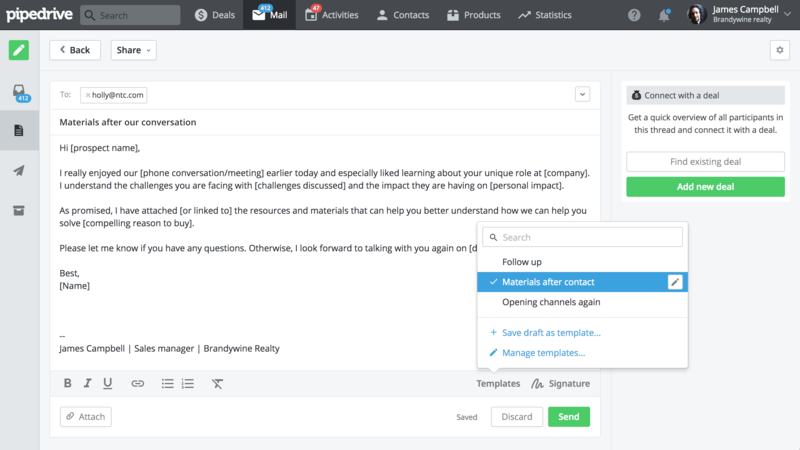 For example, by using a contact timeline (see below), reps can easily and effectively manage leads through the sales funnel without complex hurdles. Once you’ve refined your sales process, you must coach your sales reps on how to implement it into their day-to-day routines. According to SiriusDecisions, high-performing sales organizations are twice as likely to provide ongoing training than low-performing ones. We’ve covered two of the most fundamental coaching principles: a) a clear path to sales objectives and b) asking reps the right questions. With this information, you’ll know what to include in your coaching programs for each sales rep. Focus on two to three areas that the rep should work to improve. Provide reasonable timeframes to help keep reps focused. Simple sales processes are easier to document. Once you’ve defined your process, create a playbook for your reps to follow. It’s easy to believe that a lack of sales process adoption is due to animosity, when in fact it’s usually due to confusion and lack of clarity. Your sales playbook should set expectations, outline the process, and provide reps with step-by-step instructions for each stage. Provide checklists and reference material they can use. This reference material can be in the form of internal documentation or third-party content. Many salespeople prefer to do things “their way.” They don’t want to feel stifled by someone else's methods, which leads to a lack of adoption. Many sales managers fail at this because they focus on what’s in it for the organization. Instead of enforcing adoption upon your reps, show them how it will benefit them. Do this by comparing before-and-after metrics. After introducing new processes, create a before-and-after comparison of close rates and quota achievement. You’ve communicated the benefits, documented the process in your playbook, and created a coaching plan for each rep. But you’re still not seeing results. Often, a lack of clear goals is to blame. By defining clear goals (based on activities and outcomes), you provide your reps with something to work towards. Having clear activity-based goals means you can reward your reps based on performance. Not only does this help them perform better, but also helps with overall sales process adoption. This adds a level of gamification to the sales process. By tapping into reps’ competitive nature, you encourage them to perform their best and achieve the goals you’ve set. Furthermore, this reinforces a culture of care within your organization. Hefty bonuses, time off work, and other “prizes” show that you’re truly invested in the wellbeing of your employees. CRM systems can quickly overcomplicate the sales process. Using a lean CRM can help this, but often reps don’t see the benefits of entering data for the sake of management reporting. Assist reps in this process by reducing the time it takes to generate reports. Generating accurate data relies on reps understanding that it helps them achieve their goals. Ensure they capture only the necessary data. Review your dashboards and ask yourself “why is this here?” Report only the necessary data and purge anything that doesn’t contribute to results. Simple reporting leads to more productive sales teams. It also provides you with a view of the best leads to focus on, allowing you to keep track of opportunities. While technology alone won’t lead to effective sales processes, it will certainly help make the job easier -- for both you and your reps. The tools you use can make a huge difference. Indeed, high-performing companies are twice as likely as underperforming companies to describe their sales processes as automated. Clunky CRM systems can quickly make day-to-day tasks less productive. A good CRM system should empower reps to get their job done, not stand in the way with endless hoops to jump through. Evaluate your current systems by complexity, reporting functionality, and ease of use. Include these considerations when bringing your salespeople together to uncover friction. Find out what they like/dislike about the tools you currently use. We’ve covered the necessities needed for effective sales process adoption. But with new processes come new habits to forge. Even with each of the 11 elements above in place, things can still get off track. There will be countless uncertainties and doubts. These unspoken objections are what usually leads to a lack of adoption in the first place. Which is why it’s important to involve line managers and senior decision makers from the very beginning. If sales leadership or even the CEO expresses support for the new process, it’s much more likely to be taken seriously. Encourage senior decision makers within your organization to publicly advocate the new process. Guide them through the checklist above and communicate the same benefits you want your reps to see. This level of support not only speeds adoption but once more shows you care about your employees. It demonstrates that the boardroom cares about the culture of the entire company, no matter how “unreachable” they may seem. Using the principles shown in this guide, you’ll see more success in getting your reps on board with your sales process. Over to you! What is your sales process? How are you ensuring your sales process is understood and loved by your salespeople?